UNIVERSAL CITY, Calif. – Feb. 5, 2016 – One of NBC’s strongest dramas to debut in recent years – both critically and in delivering a solid overall ratings return – “Shades of Blue” has been renewed for a second season. The announcement was made today by NBC Entertainment President Jennifer Salke. In L+3 results from Nielsen Media Research through its first three telecasts, “Shades of Blue” has averaged a 2.5 rating in adults 18-49 and 11.2 million viewers overall. 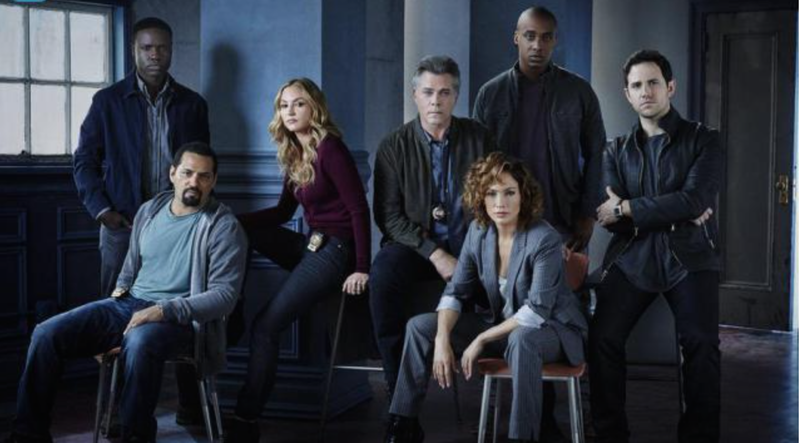 “Shades of Blue” has delivered NBC’s first Thursday 10-11 p.m. ET time period wins with in-season regular programming over original competition on ABC and CBS since March 2010 in 18-49 and since March 2008 in total viewers. “Shades of Blue” is also one of the most time-shifted shows on television, with its most recent L+7 Nielsen results lifting the show by +95% in 18-49 versus its live plus same day rating (from a 1.32 to a 2.57) and by +4.7 million viewers overall (6.6 million to 11.3 million). The +95% gain was the #1 biggest percentage increase for the week of Jan. 11-17 on the Big 4 networks and was the #1 biggest L+7 percentage lift so far this season for Week 2 of a new series on those nets. The series and its cast have been critically applauded by several prominent publications, including The New York Times, Hollywood Reporter, Entertainment Weekly, Los Angeles Times and TV Guide. “Shades of Blue” stars Jennifer Lopez as Harlee Santos, a charismatic single mother and resourceful detective at the heart of a tight-knit crew of Brooklyn detectives, led by enigmatic Lt. Matt Wozniak (Ray Liotta, “Goodfellas,” “Field of Dreams”) who often leads the team to step outside the limitations of the law in order to effectively protect their precinct and their own. Showrunner Jack Orman (“Men of a Certain Age,” “ER,” “Pan Am”), Jennifer Lopez (“The Boy Next Door,” “The Fosters”), Elaine Goldsmith-Thomas (“Extant,” “The Fosters”), Benny Medina (“The Boy Next Door,” “The Fosters”), Ryan Seacrest (“Keeping Up with the Kardashians,” “Shahs of Sunset”) and Nina Wass (“Mixology,” “Golden Girls”) all serve as executive producers with creator Adi Hasak (“Generation Kill,” “3 Days to Kill”). Barry Levinson (“Rain Man,” “And Justice for All”) directed the first two episodes.